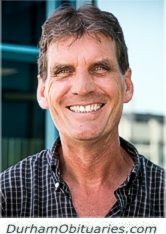 SWAIN, Barry Lewis Swain - Suddenly, on Sunday, March 24, 2019 at the Lakeridge Health Centre, in Oshawa, at age 54. Barry, beloved son of the late Percy and Doris Swain. 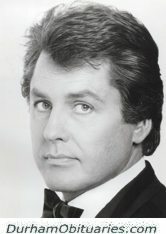 Canada’s handsome smooth-singing baritone and entertainer, passed away peacefully at Lakeridge Health Oshawa on Friday, March 22, 2019, at the age of 83. Doug grew up in Oshawa with his family where he began singing at the age of 6 at Sunday school and in the St. Andrews church choir. While working at GM in Engineering, he won a local talent show singing “A White Sport Coat with a Pink Carnation." The rest is history. He began his television career in the late 50s guesting on CBC’s “Country Club, Holiday Ranch, Swing Easy and the Canadian Hit Parade." DART, Isabell - Passed away at Lakeridge Health Oshawa on Friday, March 22nd, 2019 at the age of 96. Much loved mother of Lynn Jury (late William) of Oshawa. Predeceased by her son Larry Dart and survived by daughter-in-law Geri of Peterborough. MURPHY, Gary Raymond - It is with heavy hearts that the family of Gary Murphy, share his sudden and unexpected passing, surrounded by his family at Lakeridge Health Oshawa on Friday March 22, 2019 at the age of 77. Loved husband of Ronalee (Lee) Murphy for 54 years. Loving and proud father of Kelly Murphy and her fiancé Joe Broderick of Whitby and Julie Murphy-Reid and her husband Iain of Whitby. Loving and cherished Grandfather of LauraDow, Madeline Dow and Callum Reid. 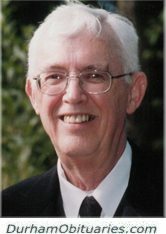 DeJONG, Ben - A man of faith, peacefully on Saturday, March 23, 2019 at the Port Perry Villa, at age 96. Ben DeJong, of Perry Perry and formerly of Nestleton, beloved husband of the late Wemke and the late Henny. It is with great sadness that we announce the passing of John T. Demaline on Friday, March 22nd, 2019 at the age of 80. John met his soulmate Darlene when they were just teenagers and they spent the last 57 years being happily married. He died very peacefully with her by his side holding his hand. 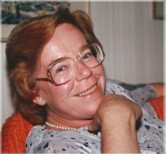 REID, Carolyn Mary (nee Guyea) - Passed away peacefully at Lakeridge Health Ajax on Friday March 22, 2019 at the age of 73. Beloved and best friend to David. Dear sister to Jennifer Ann (Oddvar Bell), and the late Fred Reid. Sister to Brenda Reid and Judi Scott. Carolyn will be sadly missed by her extended family friends and all who knew her. Born in Georgetown, Guyana on April 16th,1933 to Rachael and James Fung. She had an adventurous career with BWIA Airlines before immigrating to Canada in 1974 with her husband Neville Pereira and her 4 beautiful children David, Deborah, Diane and Dyrek. 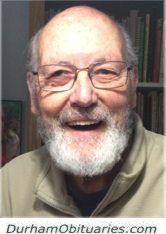 McMILLAN, lan David - Passed away at Lakeridge Health Oshawa on Friday March 22, 2019 at the age of 78. Loved companion of Alexandria Bull of Brooklin and her family Heather Bull Senay and her husband Michael of Sharon and Dale Bull and his partner Laura O’Brien of Brooklin and their families. Predeceased by his brothers Angus, Michael and his sister Judy. Survived by his nephews Andre, Michel, Marc of Alberta and their families. GRAVEL, Aurel - WWII Veteran & Member of the Royal Canadian Legion, Branch #43. Passed away peacefully at Lakeridge Health Oshawa on Thursday, March 21, 2019, in his 97th year. Aurel will be dearly missed and fondly remembered by his family and friends. 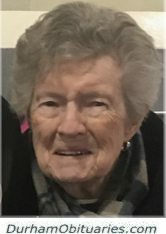 SCANLAN, Mary Ellen - Mary passed away March 21, 2019 at Sunny Crest Nursing home peacefully in her rest. will be sadly missed by her husband Allen Scanlan, her brother Albert Shipley and her children Neil (Mona), Gerry, Tracy (Bob). She will be fondly remembered by her many grandchildren, great grandchildren and nieces and nephews. Predeceased by her children Lloyd and Darlene as well as her siblings Jimmy, Ivy, Charlie and Betty. FLEURY, Ron Fleury - 1950 - 2019 Surrounded by his loved ones, Ron Fleury passed away at the Lake Ridge Health Hospital, Oshawa. Ron left behind his wife, Nancy, his three children, Joy (Steve), Paul (April) and Char (Rick). 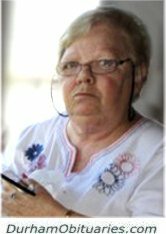 PJONTEK, Regina - It is with great sadness we announce the sudden but peaceful passing of our mother Regina Pjontek of Uxbridge Ontario, on March 21, 2019. Born September 18, 1925, in Papenbureg, Germany, she was predeceased by her husband Stefan Pjontek. 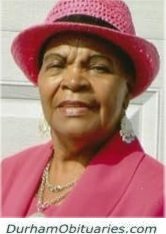 STEPHENSON, Marjorie (nee Taylor) - Passed away peacefully following a stroke, surrounded by her family, on Thursday March 21, 2019. Born at Stockton-on-Tees, England, on June 11, 1932 to parents John and Elizabeth Taylor, she immigrated to Canada in 1970, residing briefly in Kincardine before moving to Oshawa, and then Hampton. In loving memory of Donald, who passed away at age 90 on Thursday, March 21, 2019. He was married to Patricia Ann Brooks, with whom he spent many happy years living in the Greenwood community. Don and Pat loved cheering on the Blue Jays together, and supported the Greenwood United Church. FLEMMINGS, Hazel Alberta Flemmings - A tireless advocate for supporting those less fortunate and an active member within her community, passed away peacefully on Friday, March 8, 2019, 47 days after the death of Vernal Flemmings, her husband of 55 years. She was 85 years old. The matriarch of the Flemmings’ family, Hazel died on International Women’s Day and will forever be remembered for her many achievements, including bringing children and families hope for a better future by sponsoring and helping them settle into a new life here in Canada. 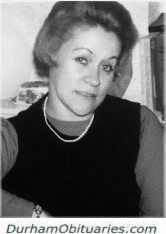 STRAUSS-CLAEREBOUDT, Helga - Passed away peacefully on March 11, 2019 at the age of 84. Predeceased by her loving husband and soulmate Armand (2001). Step-mother of Claudette (Ken) of Regina, SK; great-aunt of Peter Ulbrich (Katja) of Halver, Germany; aunt of Manfred Mucke of Bielefeld, Germany; aunt of Gert Boden, of Pirna, Germany; and aunt of Birgitte Kassing of Spengler, Germany. 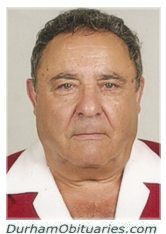 RUAS, Ramiro - Peacefully passed away at his home with his wife by his side on March 20, 2019. Devoted father to Carlos (Teresa), Tony and Valentina. Beloved grandfather to Garrett, Janelle and Brandon. Predeceased by his parents, Manuel and Ortencia. He will be missed by his many nieces, nephews and extended family and friends. Peacefully, surrounded by his family on Wednesday, March 20, 2019 at Sunnybrook Health Science Centre, Toronto at the age of 54. Bob, beloved husband of Kristen and the late Heather Cornish (2007). Proud father of Paige, Amy, Kaitlyn and Rebecca. Dear son of Marie Cornish and the late James Cornish (2002). Much loved brother of Ann (Paul), Lynn (Mike), and John (April).